Iron Fist debuted last month to less than rave reviews, but at least Danny Rand’s arrival meant that Netflix had finally finished introducing all of The Defenders. The 8-part series has loomed since about the time Daredevil first hit the Netflix scene, with various hints dropping between the premieres of Jessica Jones and Luke Cage. We know Sigourney Weaver is going to be the big threat to The Defenders, and now we finally have a release date. A short teaser popped up earlier today (which has since been pulled), and it shows a somber-looking Luke, a desperate-to-cling-to-his-anonymity Matt Murdock, a weirdly breathless Danny, and one pissed-off Jessica. 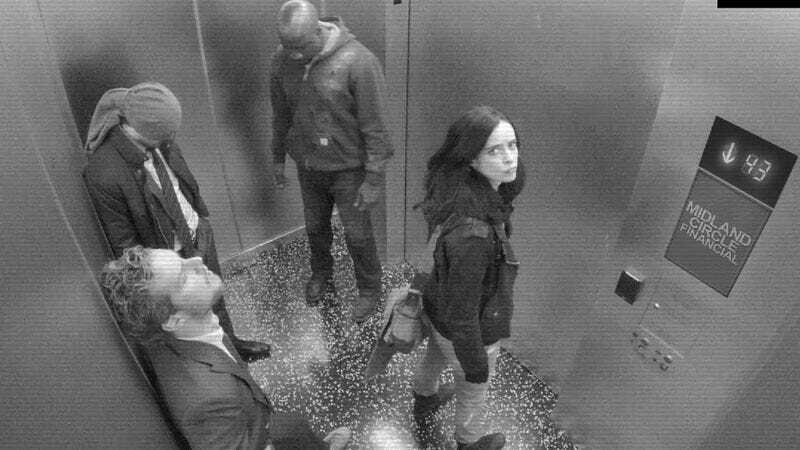 When Jessica punches the security camera, the time stamp is 08:18:20:17, which fans are interpreting as a reference to an August 18 premiere date. That could be open to interpretation, we know. But if you type http://23.253.120.81 into your browser, you’ll be taken to the fictional New York Bulletin, a.k.a Karen Page’s new employer. Scroll past the “still under construction” post, and you’ll see a message that reads “Watch Marvel’s The Defenders All Episodes Streaming Only on Netflix August 18.” So it’ll just be four short months before we know exactly why the Iron Fist is so winded.